1967 was a monumentus year for rock music. We hear a lot about Sgt Pepper, Piper at the Gates of Dawn, The Doors, etc (all amazing albums!) but it seems that the Bee Gees 1st has slipped through the cracks. It is an album of stone-cold classics like New York Mining Disaster, Holiday and To Love Somebody as well as several lesser known gems. 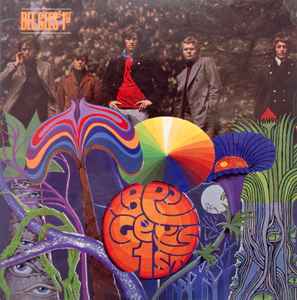 The Bee Gees 1st has hints of the psychedelic sound but keeps it on the restrained and orchestral side of things which brings more attention to the more traditional song craft which the band has become famous for. The songs are all very catchy and short without any of the extraneous long instrumental freak out passages which were common for the time. This gives 1st a near instant familiarity which is both refreshing and unique. A highly recommended album. I have this great record. Only thing is that its in Stereo and not mono. On the sleeve it says mono though.